With the holiday season fast approaching and many of us facing hours – even days – away from convenient charging sockets, the problem of your phone running out of battery gets serious. One solution of course is using it less, another is getting a portable battery. It’s not just the fun apps that drain your iPhone out of power – even simple stuff like reading or texting on iPhones can run the battery down because believe it or not, just lighting the screen is one of the biggest uses of power on a smartphone. We tested out one of the market-leaders in this field – the Mophie Juice Pack Reserve, a 100mH portable battery for iPhone. > Light, small and easy to carry. It’s a nice hand-shaped size. We appreciate that. We haven’t tested the “charges twice as quickly as any other charger” claim yet, but we do love how fast this is. Even after several weeks sitting around the office, the juice pack was still able to charge up an iPhone. > The Juice pack comes with a charging USB cable, we wish it didn’t. Why-oh-why didn’t they make this with a nice click-out USB connector instead? Whenever anyone gives me a cable, my first act is always to lose it, always. 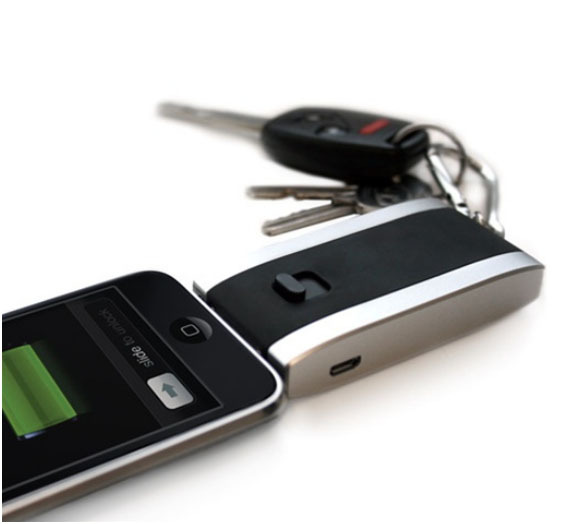 As portable iPhone batteries go, we like this one. However, these little gadgets are unlikely to be something you use everyday, because in daily life we really aren’t often that far from a powerpoint. If it had a click-out USB charger to charge itself I’d really like that..